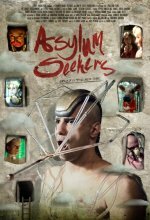 Asylum Seekers Movie Crazy is the new sane. Six people on the verge of a breakdown decide to check themselves into an insane asylum, only to discover there is just room for one. added the tagline: "Crazy is the new sane. "